If you are a designer and always switch between Mac and Windows, you will find that some of the beautiful fonts in Mac are not available in Windows. Even when you copy the font over, the Windows system does not recognize the font and can’t register it to the system. The reason is because those fonts are in dfont format which can only be used in Mac. 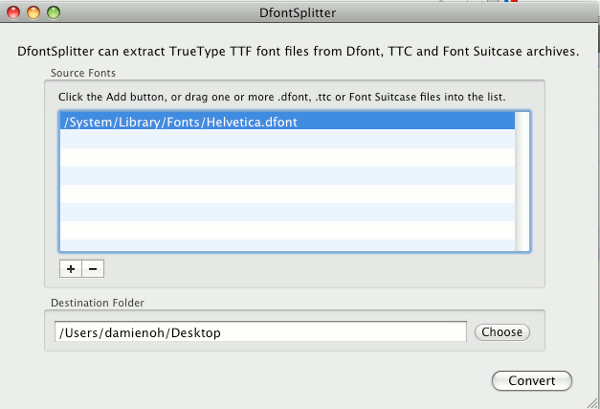 To get it working in Windows (or Linux), you have to convert the dfont to TrueType format (ttf). Open the application. Click the “+” to add a dfont, or simply drag the dfont from the Finder. For your info, the system fonts are located at the directory “System/Library/Fonts“. 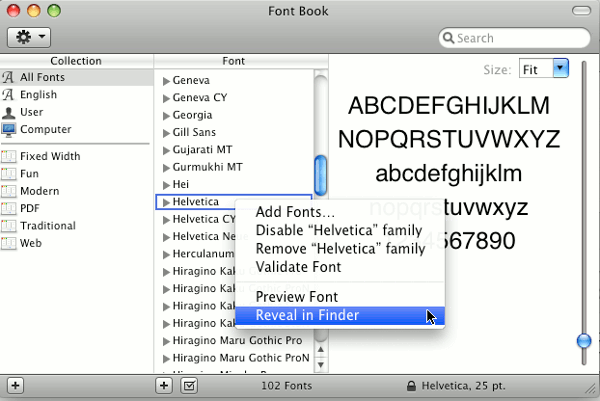 Alternatively, you can search for the font in the Font Book application and right-click the font and select “Reveal in Finder”. Next, select the destination folder and click “Convert“. You will now see a bunch of font files in your destination folder. Keep the one with the .ttf extension and delete the rest. Now move those ttf fonts to Windows and double-click on it to install. Note: DfontSplitter also comes with a Windows version. Alternatively, you can move the dfont to Windows and use DfontSplitter (Windows version)to convert the font to ttf format. Just changed my life! 50K+ font libraries over here!